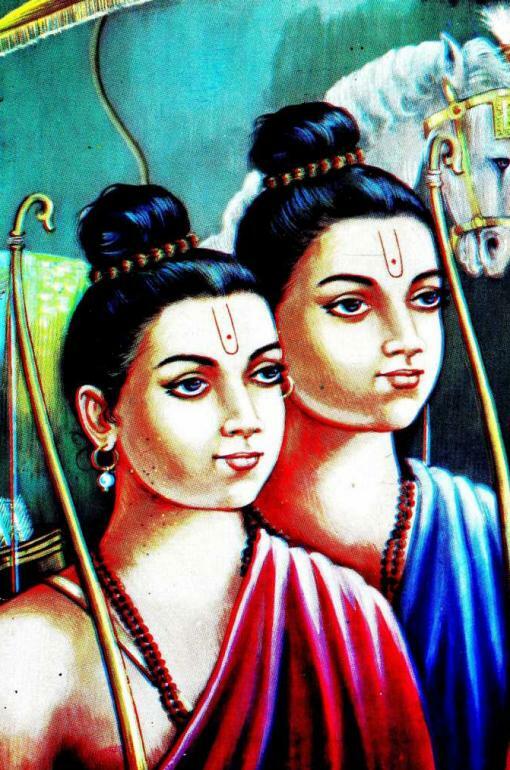 Lord Rama was born in the 81st generation of Ikshvaku Dynasty of Surya Vamsam or Solar Dynasty. This lineage continued for another 64 generations until 1634 BCE, where the last king Sumitra was killed by Chanakya’s contemporary Mahapadma Nanda. Brihadbala, who was 115th generation king, participated in Kurukshetra war and was killed by Abhimanyu. Raghuvanshi is an offshoot dynasty born out of the Suryavanshi clan after the king Raghu (57th generation). Vishnu Purana, Valmiki Ramayana and Mahabharata contain accounts of this dynasty. Ikshvaku dynasty was a dynasty founded by the legendary king Ikshvaku. 22 out of 24 Jain Tirthankara belonged to this dynasty. Rishabha(Ikshvaku) is present in both Hindu as well as Jain mythology. Both refers to the same person. Prince Siddhartha (Gautama Buddha) belonged to ikshvaku dynasty in 139th generation. Ikshvaku (इक्ष्वाकु, ikṣvāku), was 2nd generation king or rather the 1st king of this dynasty. His name originally was Rishabha. When he was exhausted during hunting and was about to die, a Rishi saved him by providing Ikshu (Sugar cane) Rasa (Juice). His voice became sweet and he was named Ikshvaku (one who speaks sweetly). He ruled the Kingdom of Kosala in ancient India. Acoording to the Vishnu Purana, he had a hundred sons, among whom the eldest was Vikukshi. Ikshvaku‘s another son, named Nimi, founded the Videha dynasty. Brihadbala was killed in the Mahabharata war by Abhimanyu. His son ‘Brihadkshana’ became king after the war.